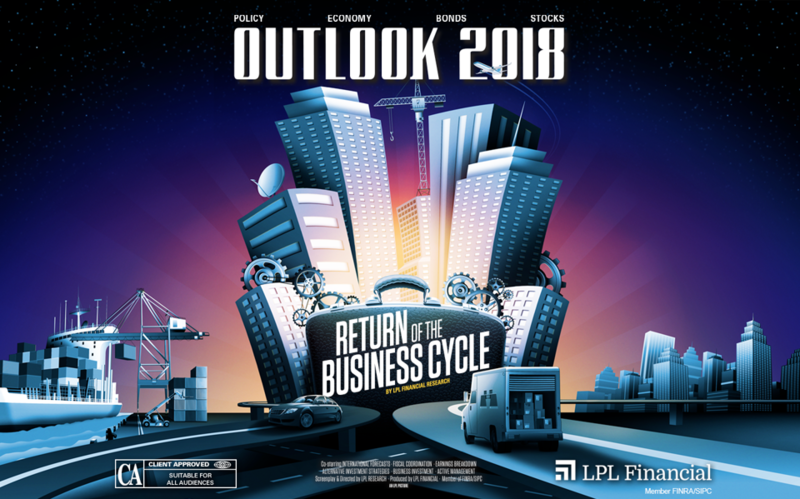 Outlook 2018: Return of the Business Cycle | Blackstone Valley Wealth Management, LLC. The LPL Research Outlook 2018: Return of the Business Cycle is packed with investment insights and market analysis to guide you through all the action we may see in the year ahead. We have experienced a fundamental shift in what’s driving the economic cycle. Businesses and investors may be well positioned to benefit from this new dynamic. The LPL Research Outlook 2018: Return of the Business Cycle highlights the opportunities and potential challenges that may lie ahead for market participants. This guidance and investment insight can benefit investors in their search for long-term success.